The four choreographers who will participate in the competition part of Repertory Dance Theatre’s Regalia, the company’s largest annual fundraiser, will maximize the creative opportunity of every minute in the four and one-half hours they are allocated to compose and set a short dance work which audience members will see later that day. They may come to the event prepared, often with music in hand and some basic movement phrases to start the process. And, after an hour or two, some may scrap their intentions and start anew – as some previous winners can confirm. On Feb. 24 – that same day — the four new works will be presented by RDT and other Salt Lake City area dancers at an 8 p.m. performance in the Jeanne Wagner Theatre of the Rose Wagner Performing Arts Center in downtown Salt Lake City. The prize is a commission to create a complete work in the 2018-19 season, decided as audience members will “vote with their wallets” using paddles to select the winning work. Nichele Van Portfleet, last year’s winner, will have her new work premiered at RDT’s Current concert in April. Marty Buhler. Photo Credit: Erica MacLean. When the choreographers enter their studios earlier that day, they will be given a troupe of dancers who might have skills and experiences similar or different than their own. Modern dance performers come from many backgrounds – tap, ballet, hip hop, musical theater, acrobatic, folk, just to name a few styles. However, time management is a significant factor. Normally, a choreographer might work with dancers anywhere from 30 to 60 hours in rehearsal time to set a new dance composition similar in length to the works being presented at Regalia. Sometimes, dancers will spend an hour or two of rehearsal just working on one minute’s worth of choreography. But, perhaps the most strategically important factor is trust in the dancers to whom they have been assigned. Marty Buhler, one of the four choreographers selected this year, has participated twice as a dancer for Regalia. Two years ago, he was one of the dancers assigned to Andy Noble, an RDT alumnus who is co-founder of the Houston-based Noble Motion Dance company. Noble won the Regalia competition that year. A University of Utah senior who will graduate this spring with a bachelor of fine arts in dance, Buhler says that the best approach for such a short amount of time is “to simplify things and make dancers more comfortable and confident in the movement.” He also performed two years ago with RDT in José Limón’s Missa Brevis as well as in the company’s 2017 Emerge concert which featured new works choreographed by RDT dancers. More recently, he filmed and edited the documentary that accompanied the premiere performance of Zvi Gotheiner’s Dancing the Bears Ears last fall at RDT’s Sanctuary concert. Buhler says the overarching aesthetic philosophy for him as a choreographer is a simple statement by dance artist, teacher and choreographer Steve Koester: “Don’t be interesting – be interested.” He came to modern dance relatively late after starting in musical theater. 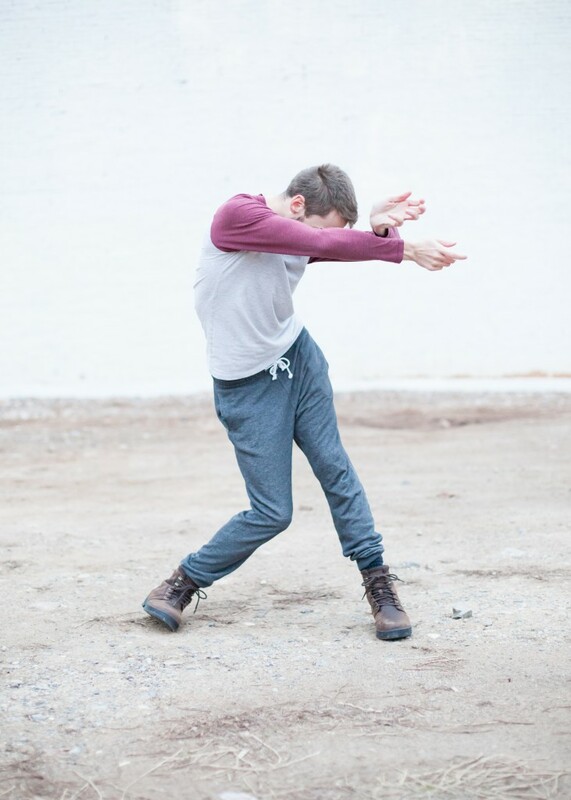 “I’ve learned to trust my gut instincts,” he says, adding that “it’s not about trying to please a teacher and that it’s always good to hear outside influences.” His work recently was tapped to be showcased at the Northwest Region American College Dance Association Conference. 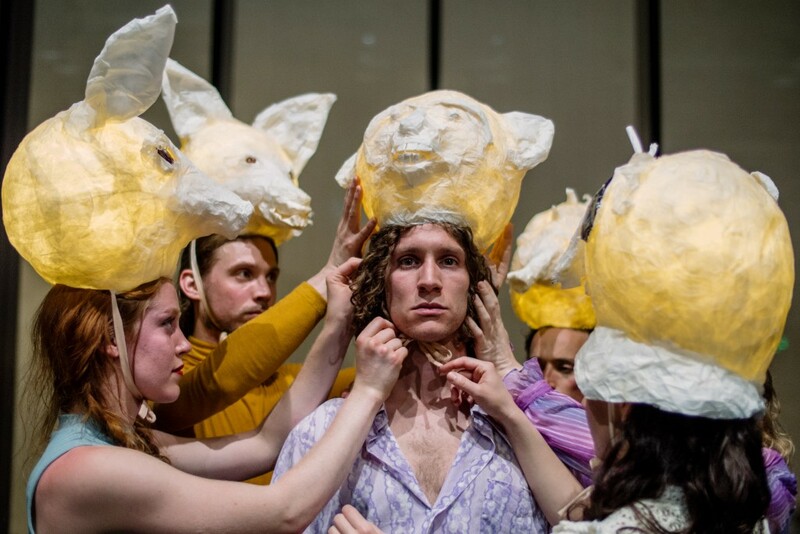 Bryn Cohn, a California native who lives in New York City and directs the Bryn Cohn + Artists company she founded seven years ago, is making her first appearance in Utah by participating in the Regalia competition. “I have never done anything like this,” Cohn says. She draws from a diverse creative palette of movement languages including classical modern, hip hop and ballet. In New York City, Cohn teaches at Peridance Capezio Center and the Pushing Progress Contemporary Training Program where she teaches composition, improvisation and contemporary techniques. Rebuilding Ashes from Bryn Cohn + Artists on Vimeo. While this is Cohn’s first appearance at RDT, she is known across the country. She has been commissioned to create original works for Missouri Contemporary Ballet, Billy Bell’s Lunge Dance Collective (formerly of Cedar Lake Contemporary Ballet), and The Big Muddy Dance Company, among others. While Molly Heller has never performed nor choreographed work for RDT, she occasionally has worked with the company’s dancers. An assistant professor in The University of Utah’s school of dance, she also is co-director of SaltDanceFest, a summer workshop of the university’s modern dance program. In addition, she owns and operates Tea Grotto, a Salt Lake City business. Her choreographer’s credits encompass works that have been performed not only in Utah but also in the New York metropolitan area, Boise and Middlebury, Vermont. Molly Heller. Very Vary. Photo Credit: Duhaime Movement Project. Her artistic impetus reflects the eclectic hybrid of her experiences in dance and as a local entrepreneur. In her formative years, she didn’t have a lot of formal training. “I would improvise a lot,” she says. Eventually, her training incorporated many different influences: certification in Pilates, personal training certification through the National Academy of Sports Medicine and advanced Reiki training in natural healing, along with earning bachelor’s and master’s degrees in dance from The University of Utah. Heller says that she will focus on dancers getting as much as possible from their whole-body movements and from calling upon their own personal experiences. This, she adds, will help to prime the dialogue they need to master a creative space where the imposed time limit can bring spontaneous risks as well as unpredictable epiphanies of emotional dynamics that drive much of the content in her work. very vary (excerpt) from Molly Heller on Vimeo. Rounding out the choreographers for Regalia are Laja Field and Martin Durov, who founded LajaMartin, a physical dance theater company they established last year in Salt Lake City. Field, who is from Salt Lake City, says that “she grew up to shows presented by RDT.” She participated twice as a dance in the annual choreographer competition when it was known as Charette. Field met Durov five years ago, a native of Slovakia whose formative training was in folk dance, when both were full-time performers with Johannes Wieland at Germany’s Staatstheater Kassel. Wieland’s choreography is distinguished for its incredible displays of acrobatic physical movements and exhilarating demonstrations of how dancers’ bodies appear to defy normal expectations in configuring and contorting motions. 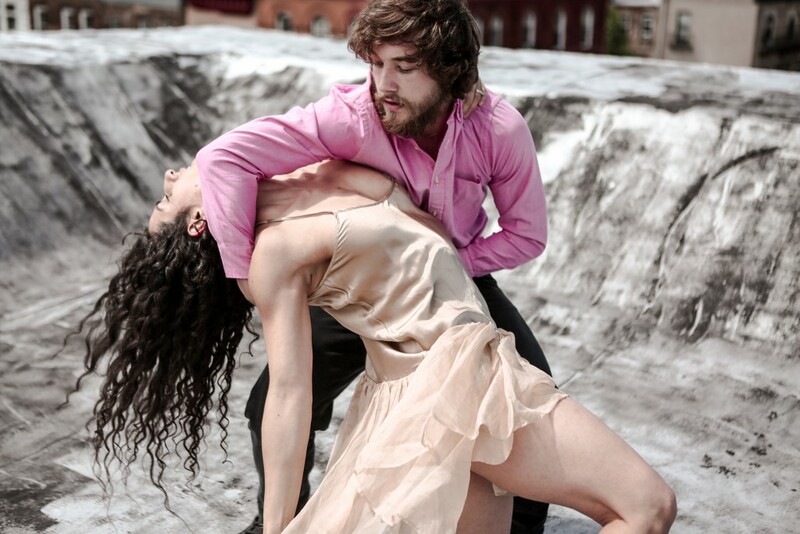 The couple have taken the experiences in Germany to a new level, initially with Vim Vigor, a dance company established three years ago in New York City by Shannon Gillen and which included Field and Durov as founding members. The couple remain as co-directors for rehearsals and continue to perform with the company. Their latest venture already has brought numerous invitations to create and perform work of intense, muscular, virtuosic character in a diverse portfolio of venues. These include Joe’s Pub in New York City, Newcastle Collee in England, the J.L Bellu Conservatory in Slovakia’s Banska Bystrica and the Black Box Theatre at the Rose Wagner Center for Performing Arts. It was after LajaMartin’s performance in a RDT Link Series concert last fall (Brine: Disembodied We) that motivated the duo to apply for the Regalia competition. Durov says that he always has wanted to bring Slovakian folk dance, an essential part of his homeland’s culture that in recent generations has become an important art scene, to the modern dance fold as physical dance theater. The complementary nature of both choreographers is evident. Field enjoys seeing work arise from a surreal or abstract orientation and trusting the imagination to make it blossom fully into a space created for dance. Durov is highly attuned to rounding out the full entertainment impact, ensuring that the audience enjoys and engages emotionally with the movement on stage. If they are intimidated by the challenges of setting even a short work in such a short time, they don’t show nor express those feelings. Field sees Regalia as “a beauty of collaboration,” an opportunity to work with dancers and access their emotions. Durov sees it as a way to explore dance is a tool to bring out colors and tones that exist in any movement language. Tatry from Field-Durov on Vimeo.